It’s no secret: people prefer to work with people they like. Know your employees and build a business that works - from every angle. 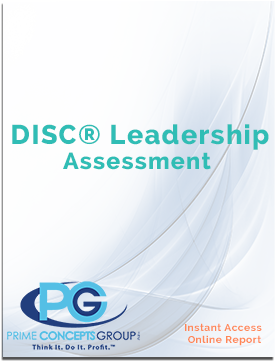 The Prime Concepts DISC® online assessment is a resource for just about any individual or organization. 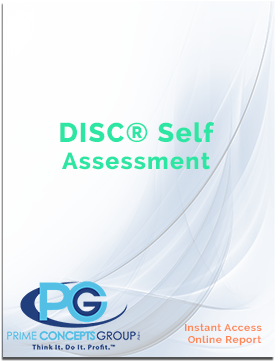 DISC® assessments teach users powerful behavioral profiling skills which can directly improve performance and increase productivity in a variety of settings and professional frameworks. Learn to positively persuade other people and drive sales, build “A” teams for special projects, improve hiring & selection, empower management and much more. Our DISC® is an invaluable behavioral profiling system that teaches users how to identify— and use to their advantage— the predictable aspects of communication. 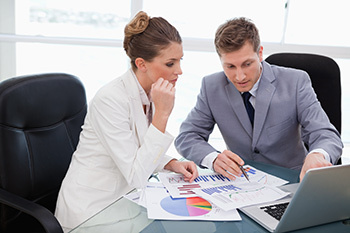 Based on the research of Dr. William Moulton Marston, DISC® is the most widely used behavior profiling tool of its kind, supported by decades of research and continuous validation. 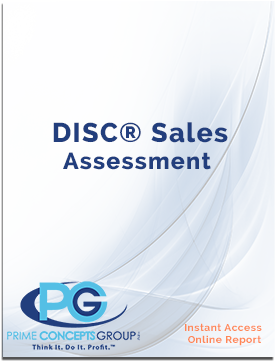 The ability to create rapport is a fundamental skill in sales, management, executive-level leadership and everyday life and that’s the goal of DISC®: help users first build, then maximize productive relationships. No need to change who you are; DISC® helps you recognize what makes other people tick and your options for dealing with them effectively. Ready to Improve with One Simple Tool?